Enjoy the best attractions of the capital of Egypt in a private day trip from Sharm El Sheikh to Cairo by bus to visit the Giza Pyramids, the Sphinx & the Egyptian Museum, then catch the 1st class bus to Sharm El Sheikh and transfer to your hotel. Enjoy with us now! In the morning, after having your breakfast, you can live the adventure during a trip to Cairo From Sharm by flight and return by bus. start your Cairo tours from Sharm El Sheik to Cairo by visiting the Giza pyramids, which are considered among the most important tourist attractions in the world. 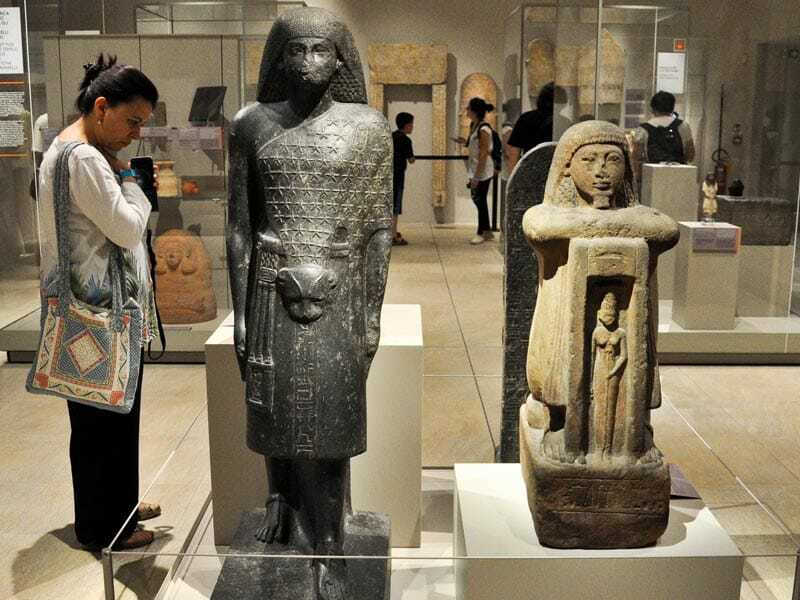 It is located in Cairo on the Giza plateau on the west bank of The Nile River, built about 25 century BC and includes three pyramids, Khufu, Khafre and Menqra. They are royal tombs, each bearing the name of the king who built it. 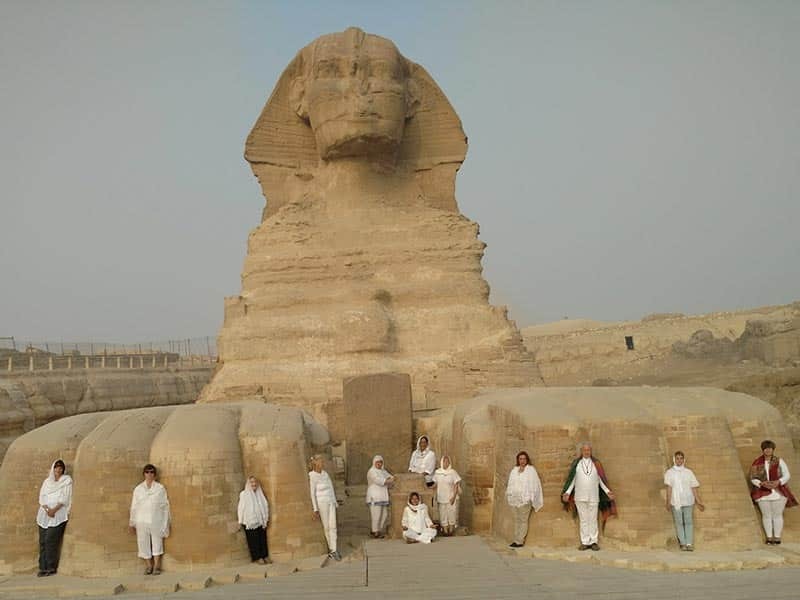 Afterward, proceed with your Cairo tours from Sharm El Sheikh to Cairo to visit The Great Sphinx, a statue of a mythical creature with the body of a lion and a human head. The oldest known large sculpture, it's about 73.5 m long, 6 m wide and 20.22 m high. It is believed that the ancient Egyptians built it during the reign of Pharaoh Khafre (2558-2532 BC), the builder of the second pyramid in Giza. And now it's time for a meal, enjoy having your lunch at a Nile view restaurant in Cairo. 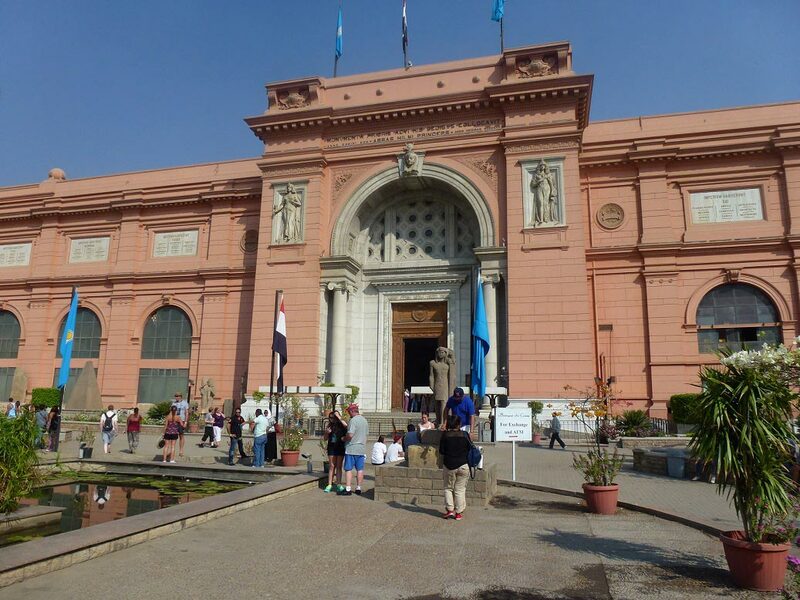 Then, your tour guide will transfer you to end your Cairo tours from Sharm El sheik through heading to visit The Egyptian Museum, which is one of the largest and most famous international museums, located in the center of the Egyptian capital, in Cairo at the north of Tahrir Square. The museum is one of the first established museums in the world and has been built to be a museum that contains more than 150 thousand archaeological artifacts, that were found in the tombs of the kings and the royal footnote of the middle era in 1894 in addition to the largest archaeological collection in the world that reflect all stages of ancient Egyptian history, you will also find many statues, mummies, and other wonderful antiques. Finally, your private tour guide who will transfer you to Cairo bus station to catch your 1st bus to Sharm El Sheikh, Upon your arrival to Sharm, our representative will transfer you by a private car to your hotel. Flight ticket from Sharm to Cairo. Bus ticket from Cairo to Sharm .